ANNAELLEGALLERY is proud to present Thale Vangen's first solo show at the gallery. 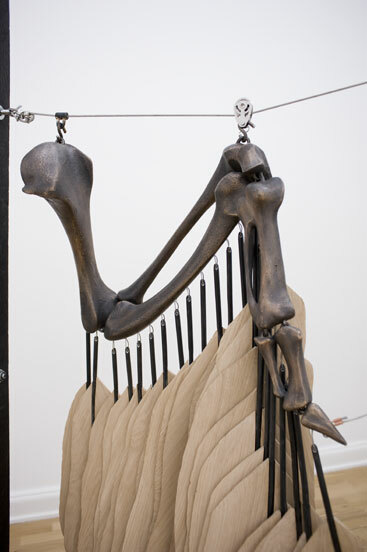 The exhibition is composed of three large-scale sculptures: Eerie Sounds from the Swamp, The Conquerors, and 27.9. 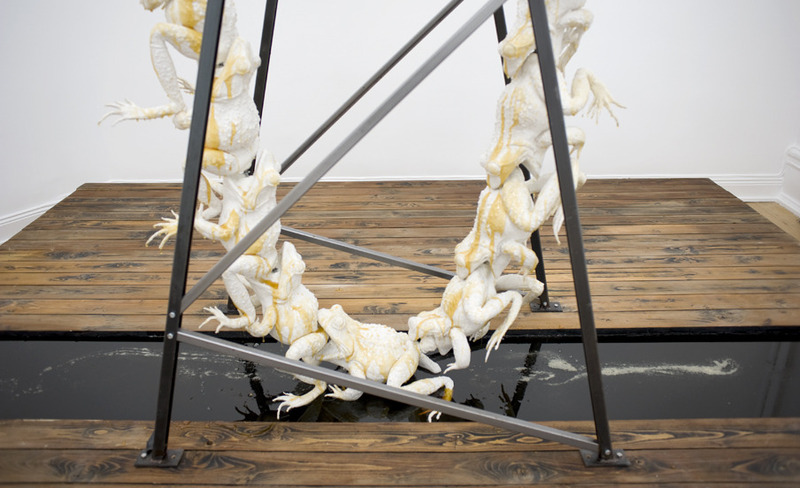 Thale Vangen creates her work based upon her studies in both chemistry and biology. Thus, her art often depicts animals such as frogs, birds, and octopuses. 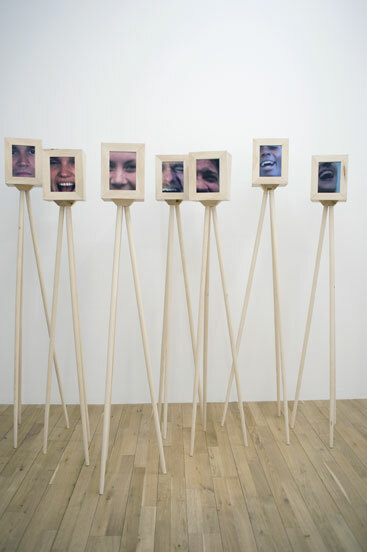 Gradually, the artist bases her ideas on simple movements that are eventually shaped into sculptures. Her works straddle the boundary between evolution and collapse. She aims to access the ungraspable and seeks to illuminate the relationship between man and machine, dream and reality, and fear and confidence. 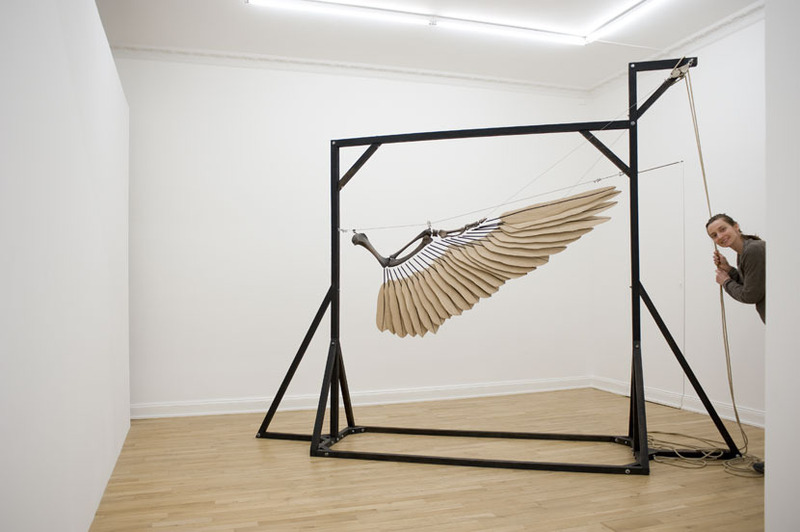 By forming interactive mechanical sculptures, Thale Vangen invites the viewer to put her work into motion. 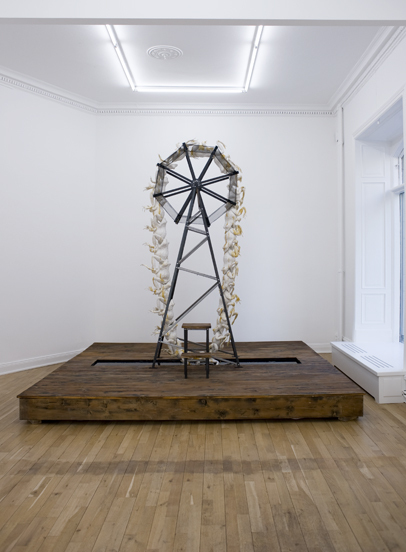 Composed of simple and direct mechanisms, the machinery can easily be understood, which makes it easy for the viewer to connect with the artwork. Thale Vangen was born in 1974 in Drammen, Norway, and lives and works in Malmö, Sweden. In 2010, she graduated with a M.F.A from the Malmö Art Academy. Recently, her works have been shown at Lunds Konsthall, Galleri Ping Pong, Stockholm Odenplan Metro Station, Galleri Arnstedt, Galleri Thomas Wallner, and Vestfossens Kunst Laboratory in Norway.